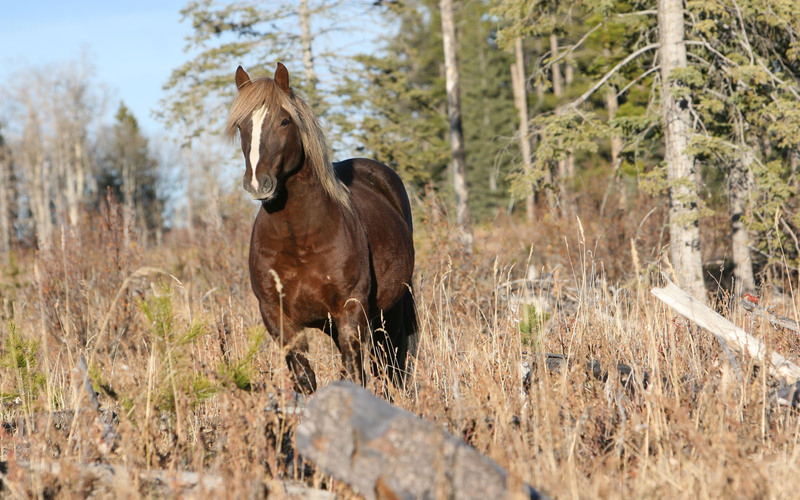 During that past month WHOAS has received moral and financial support from a couple of younger wild horse enthusiasts. We would like at this time to thank them for their support and the donations that they raised. The first one is the group of Olds College equine students: Becca Walters, Katelyn Bergeron, Candice Wiebe, Wesley Schild, and Gavin Pearson. 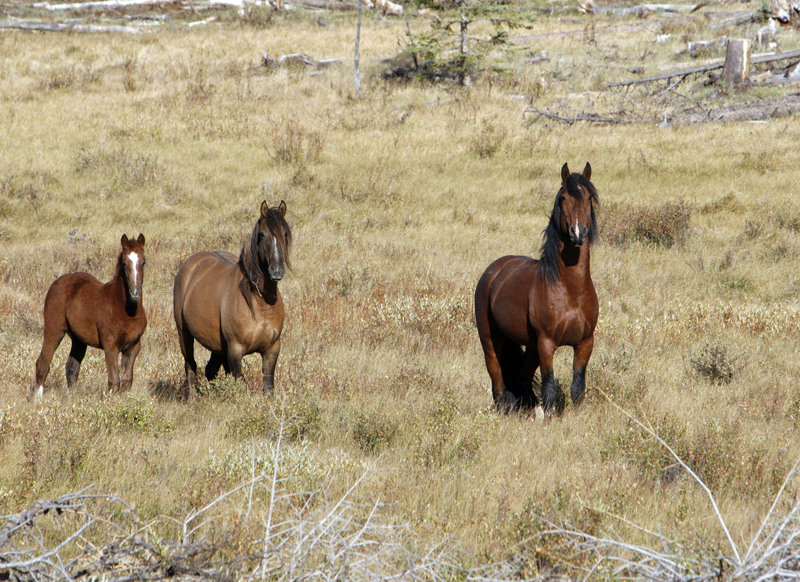 As part of their studies they presented a screening of the film “Spirits in the Wind”, a documentary filmed by Michael Neitzel, of the wild horses of Sundre. In conjunction with the screening, they also had donation boxes throughout Olds and raffled off a picture and the WHOAS Calendar to raise funds in support of WHOAS. This event was a success in helping them with their public presentations and collecting $304.04 for WHOAS. 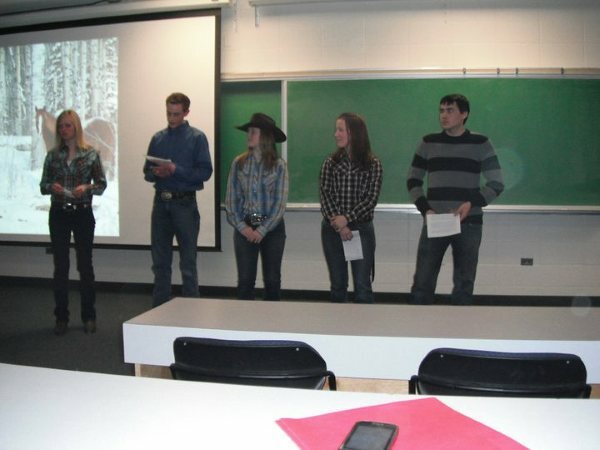 We sincerely thank these students for their efforts and continual support for WHOAS and the wild horses. We wish them success in their equine studies. This week I also received a letter from Connie Brooks of the Wolf Creek Public School Division – from the Alix M.A.C. School. Some of the girls from her Grade 6 class had a bake sale to raise funds for the wild horses. From their sale they donated $116.54. Again WHOAS sincerely thanks these girls and Ms Brooks for their support. I will be sending a copy of the WHOAS photo show to the school to thank them. WHOAS and myself are always enlightened by the young people who write to us with their stories and love of the wild horses. Their appreciation of our natural treasures is what will help save all the creatures and the environment for future generations of our wonderful province. This really encourages us to carry on with the work of WHOAS.